The Maine State Knights of Columbus announce their support of the National Veterans Family Center in Belgrade, Maine. This site, the first of its kind in the United States will cater to amputee wounded warriors and their families. A place to provide healing and independence, it is the dream of SSG Travis Mills one of only 5 living quad-amputee wounded warriors. 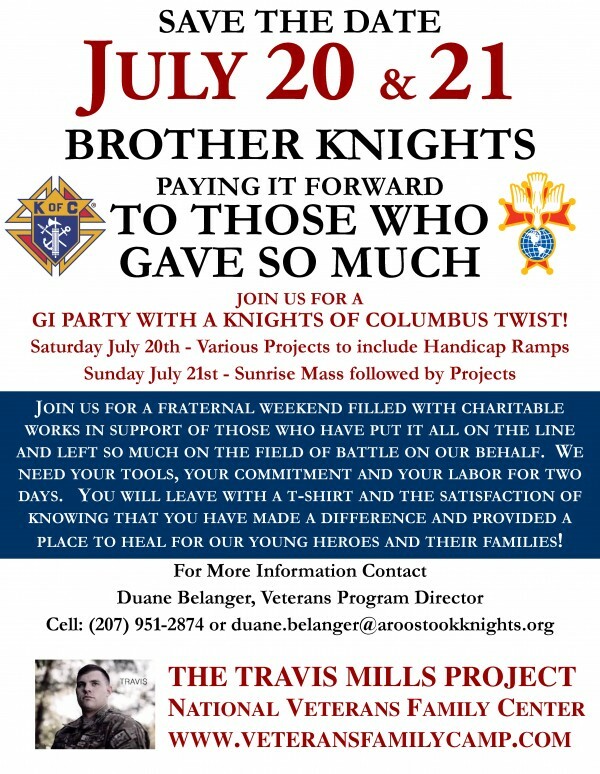 The Maine State Council of the Knights of Columbus are organizing a weekend work project building handicap ramps and other project to get the camp ready for the 5 quad-amputees and their families for their visit in late August.